Kate Courtney awaiting the start. Samara Sheppard on the rollers with super swanny Kyle Ward. 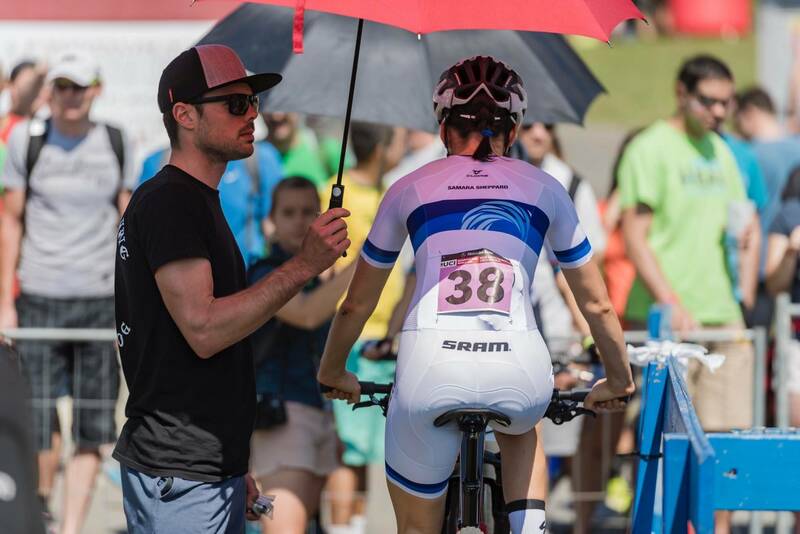 Jolanda Neff looking good in white. Anne Tauber didn't quite have the same success as rounds one and two. Top 10 isn't bad though! 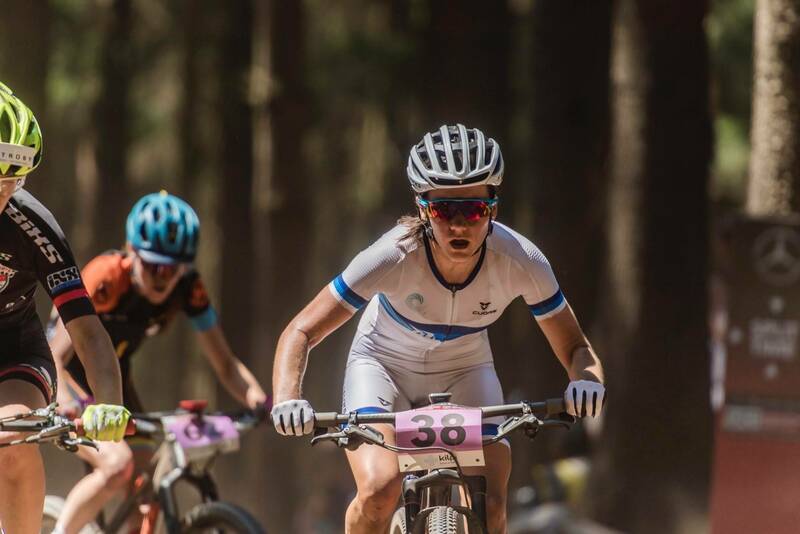 Bec McConnell riding her new Mondraker full-suspension bike. The hunt! Or the attack? 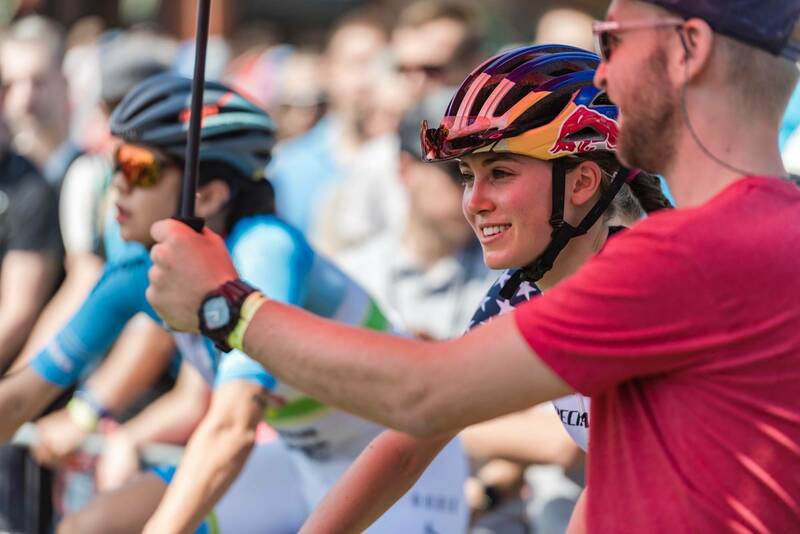 Pauline Ferand-Prevot had a great ride to third, passing a fading Elizabeth Brandau. Langvad always looked to have something in reserve. 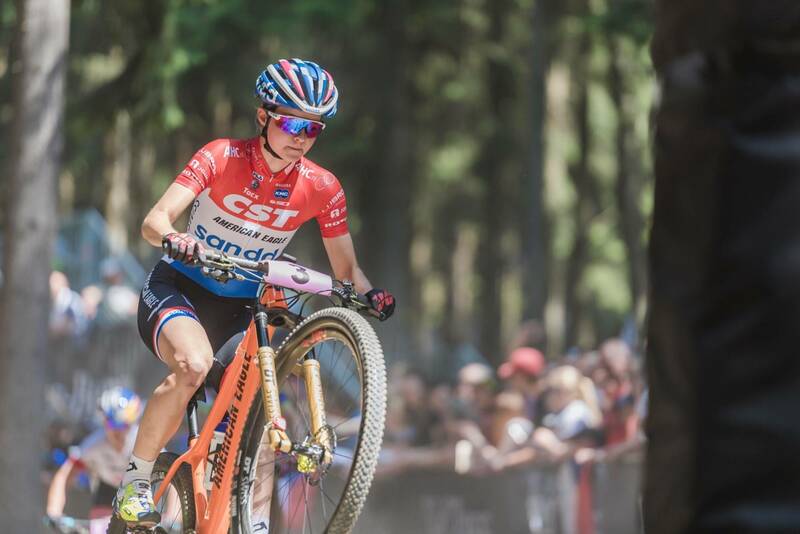 After the showing at Albstadt for Specialized that seemed to be mostly full of whinging and moaning (except Kate Courtney) a win from Langvad goes a long way! Nino enjoyes racing from the front. 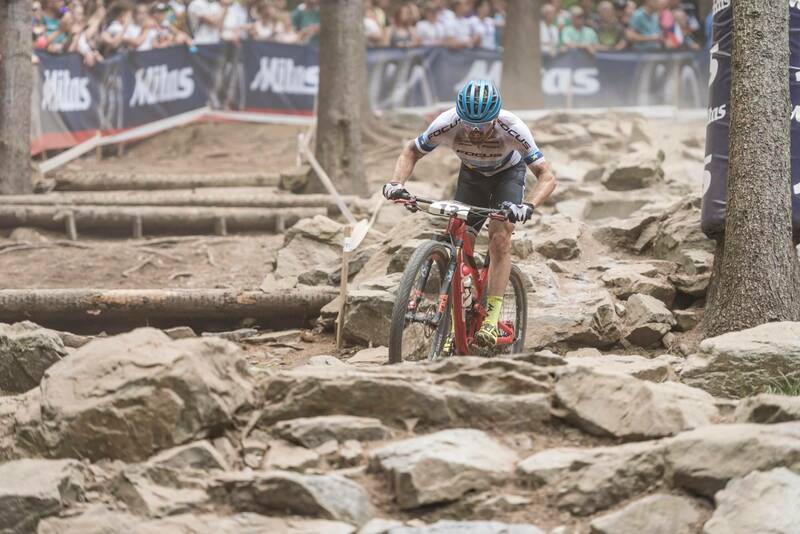 VDP in pursuit of Schurter. Full gas, all the time. 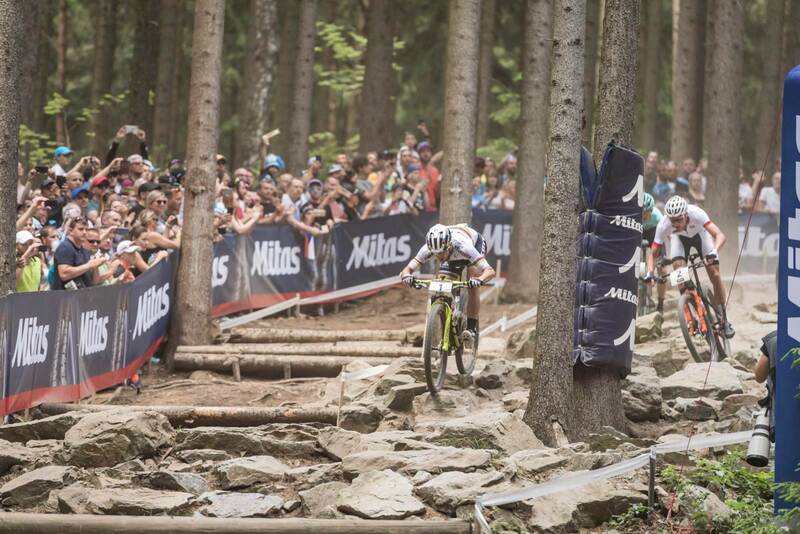 That's World Cup XCO. 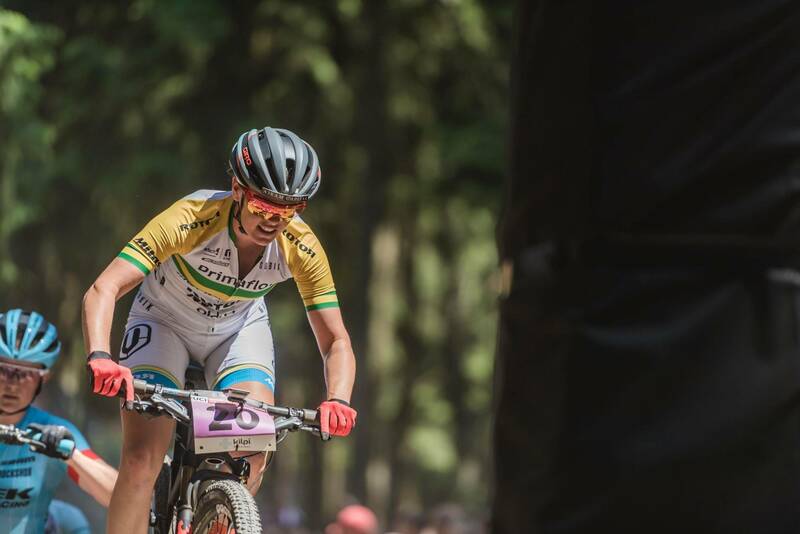 Jnr Frischi came 12th, quite a turnaround after injury earlier this year. 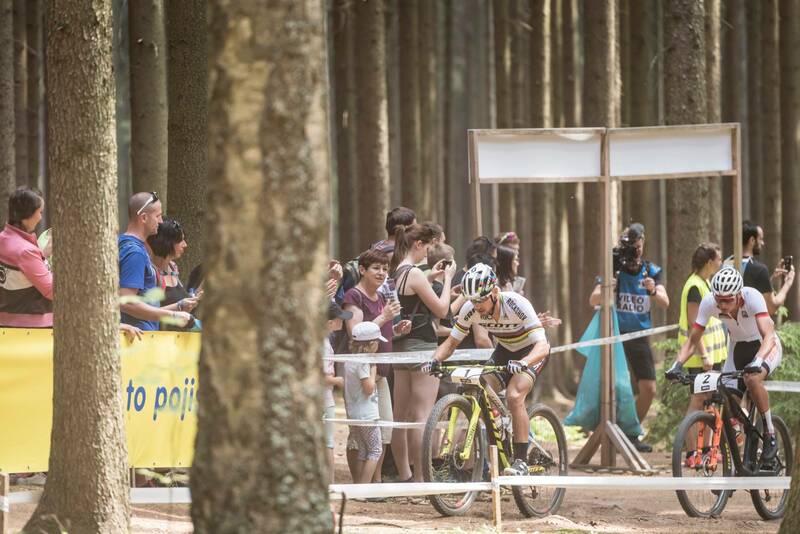 The World Cup XCO race in Nove Mesto Na Morave is known for the course, the spectators, and the racing. 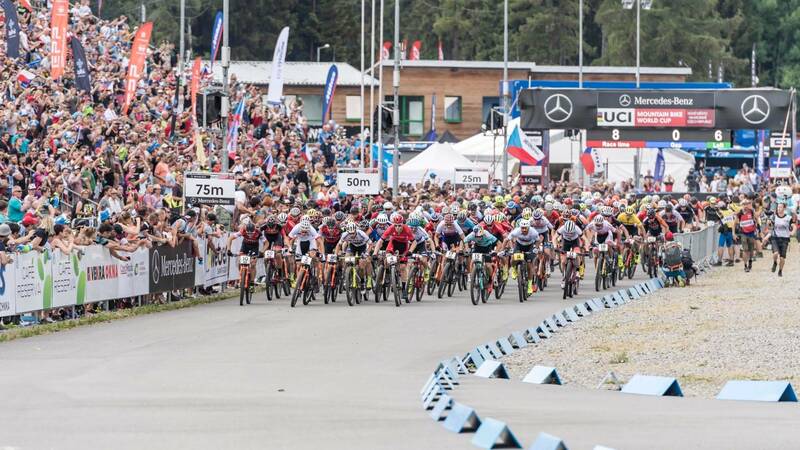 Denmark’s Annika Langvad and Switzerland’s Nino Schurter won their races at the third round of the Mercedes-Benz UCI World Cup in the Czech Republic. 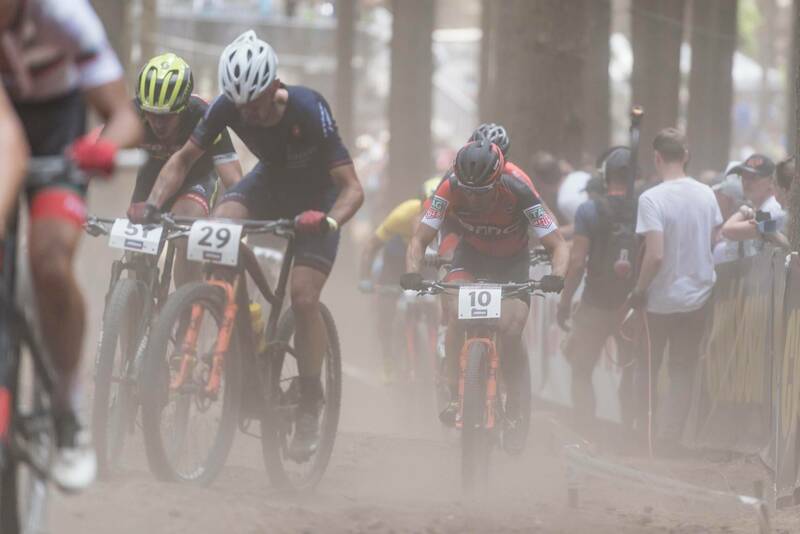 Both races were full of drama, tight racing and close finishes. 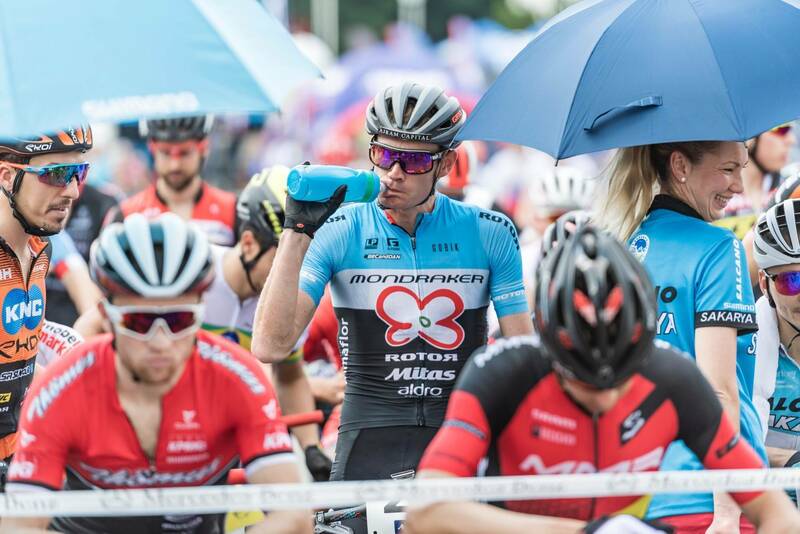 Nové Město na Moravě was the backdrop of one of the toughest stops on the World Cup calendar. It's now just a crowd favourite but a rider favourite too. 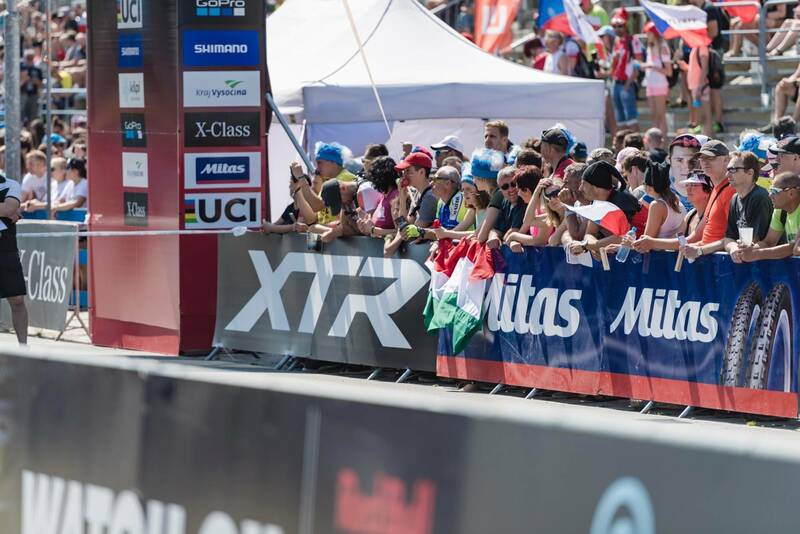 Punchy climbs are mixed in with with technical descents and a long, hot asphalt sprint to the finish line at the Vysočina Arena - it's a cross-country skiing arena and has a huge grandstand that packs full of fans. 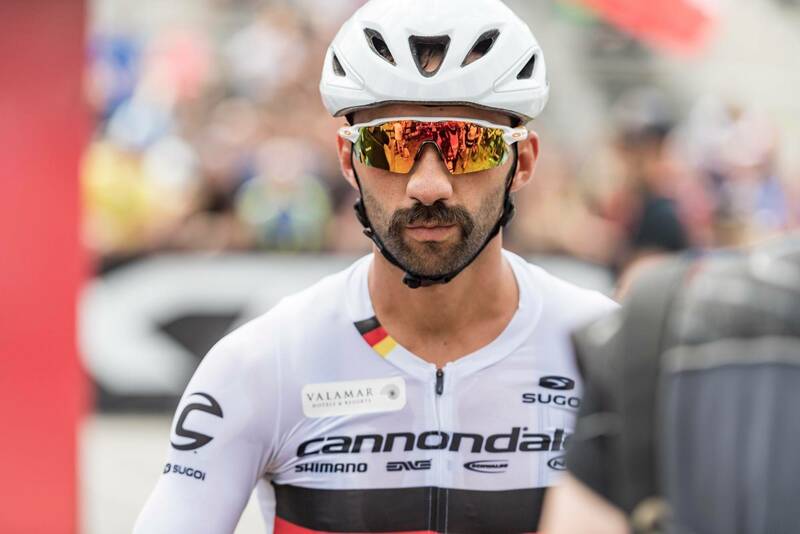 The course was shorter this year with a little less climbing, which many felt would make the racing closer and less predictable. 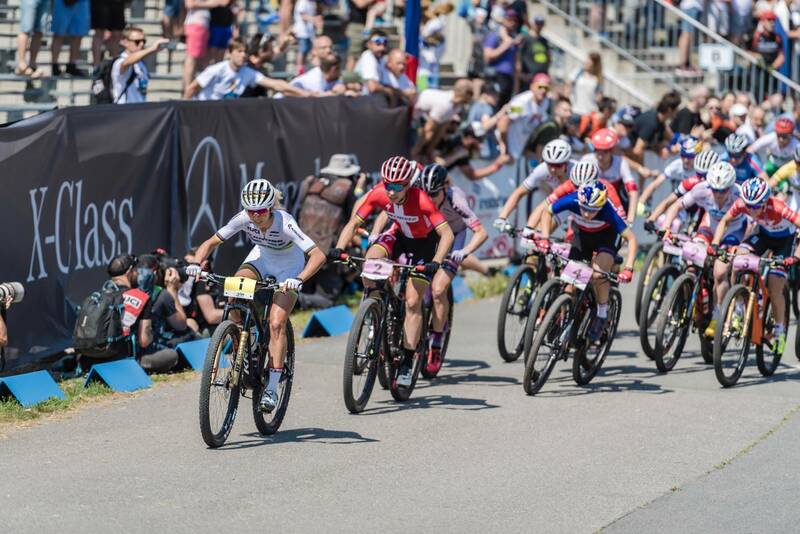 In the elite women’s field, Denmark's Annika Langvad had already kicked off a strong start to the weekend, having taken the win at the XCC short track race on Friday evening. 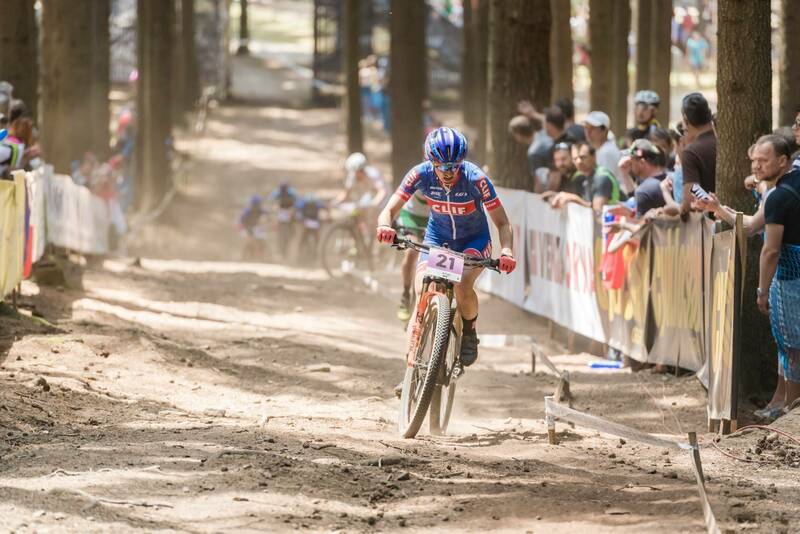 She had done the same in Albstadt but then fell apart in the race, unable to handle the conditions how she wanted to. Neff leads the start - as usual! 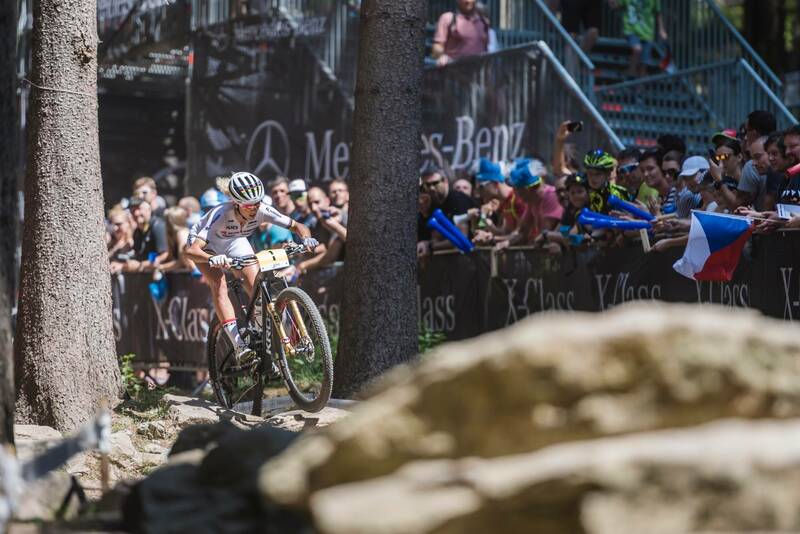 The reigning World Champion, Jolanda Neff, who had triumphed at the previous round in Albstadt, Germany lead from the start. 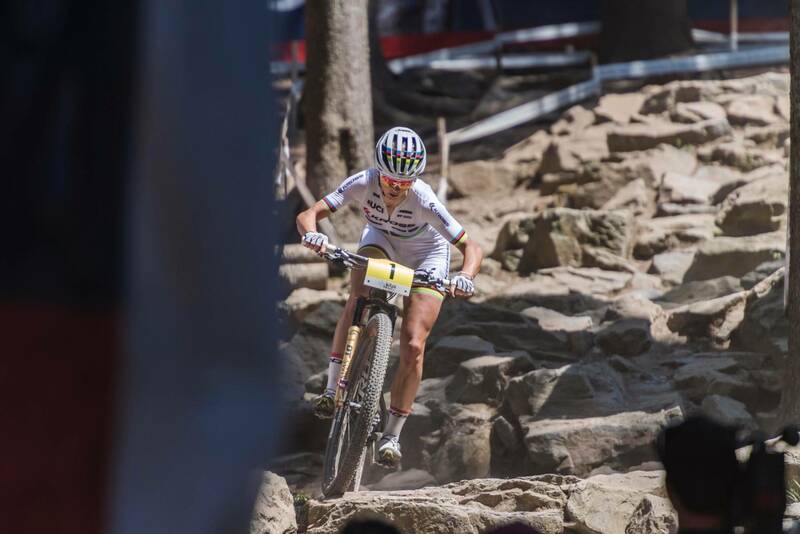 The Swiss rider resplendent in her all white kit with rainbow bands was also aboard the enw Kross full-suspension bike and it was adorned with Shimano's new XTR M9100 group set. 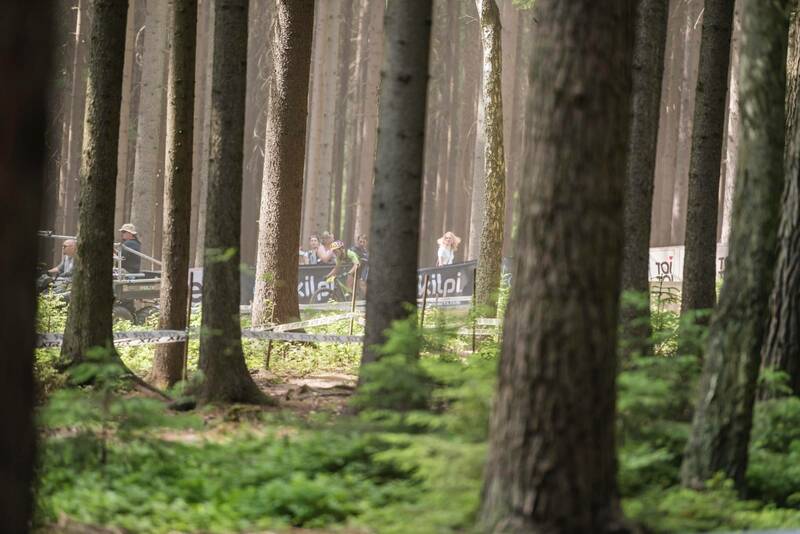 After Albstadt, where Neff rode away and built a lead over 2 minutes, no one was likely to let that happen again and Langvad rode up to Neff. The two were wheel to wheel the entire race. Sometimes Langvad would get a gap on the climb, and Neff would descend back on. It seemed like only a mistake would split them. 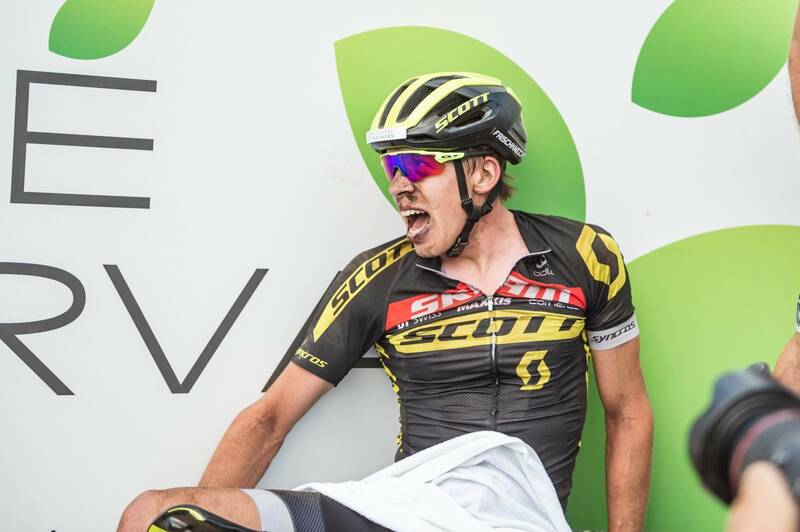 Neff attacked on the 2nd last lap but Langvad shut it down again, and the same in the last lap where they entered the finish straight together. 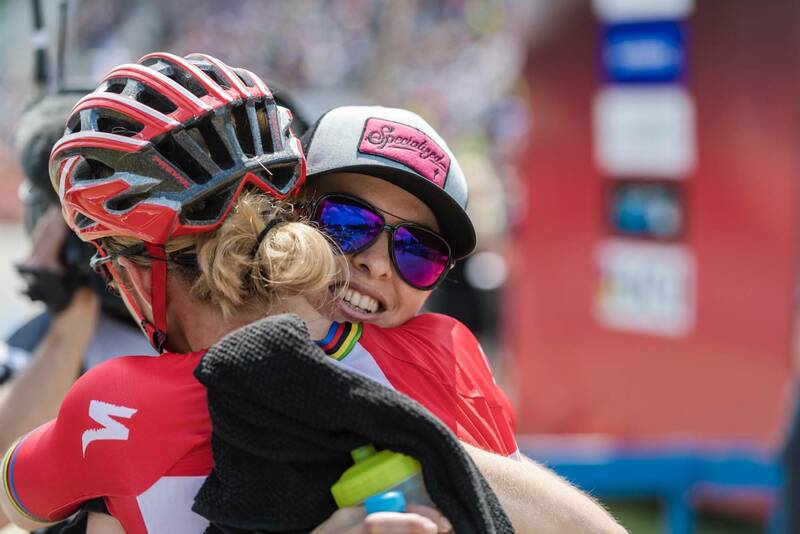 Neff tried her best to lure Langvad into launching her sprint early but Langvad tapped the power on and was simply too strong, taking the top spot. 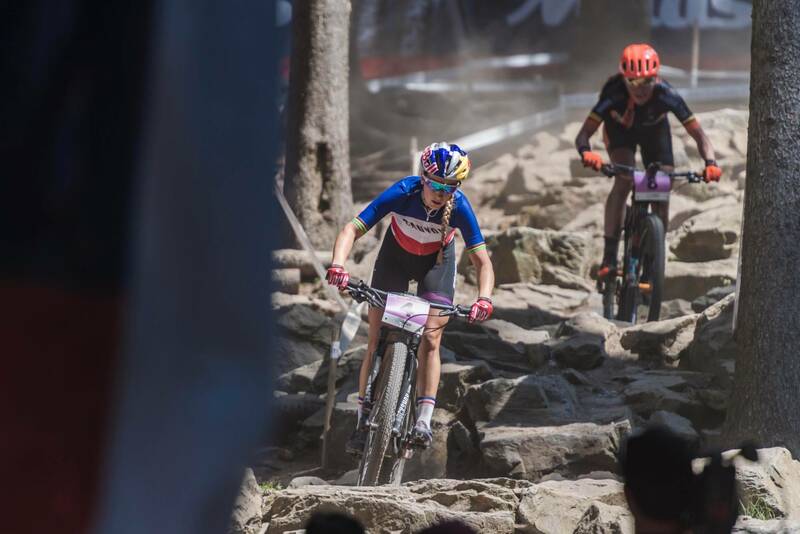 Pauline Ferrand-Prevot was 3rd with Emily Batty back on form in 4th and Neff's team mate Maja Włoszczowska in 5th - the fastest hardtail of the day! 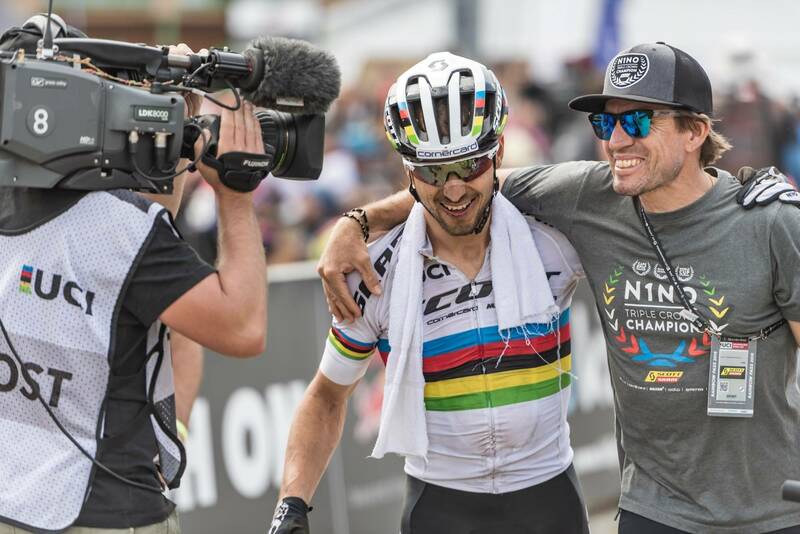 In the elite men’s field, the reigning UCI World Cup title holder, Nino Schurter, had already tasted the more painful side of Nové Město having crashed in the short track event earlier in the weekend. In all it was a tense race. 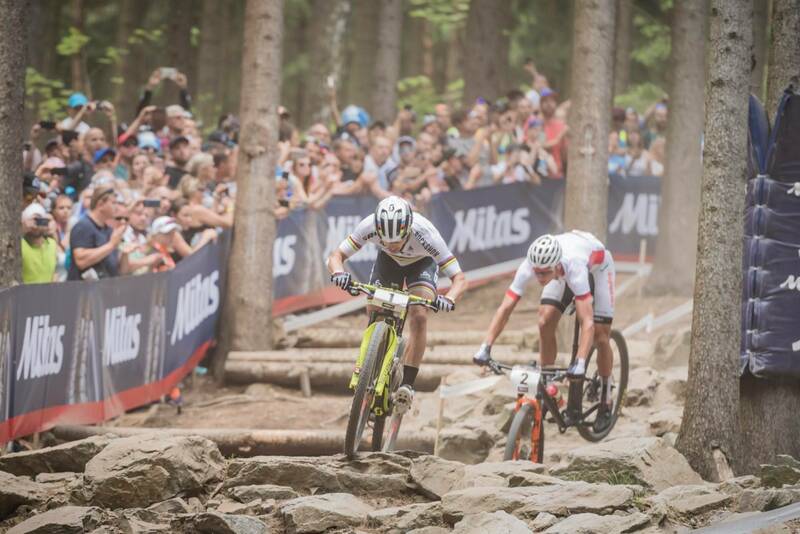 Sam Gaze crashed early in the race amidst one of the Czech track’s infamous rock gardens. 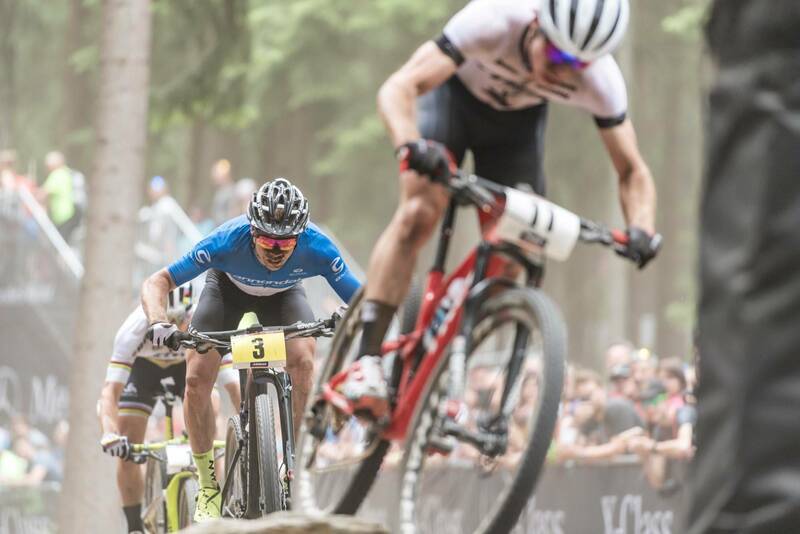 The second of the two young stars in ascendancy, Mathieu Van Der Poel, fell victim to the rocks shortly after, falling onto the arm he'd recently had surgery on. 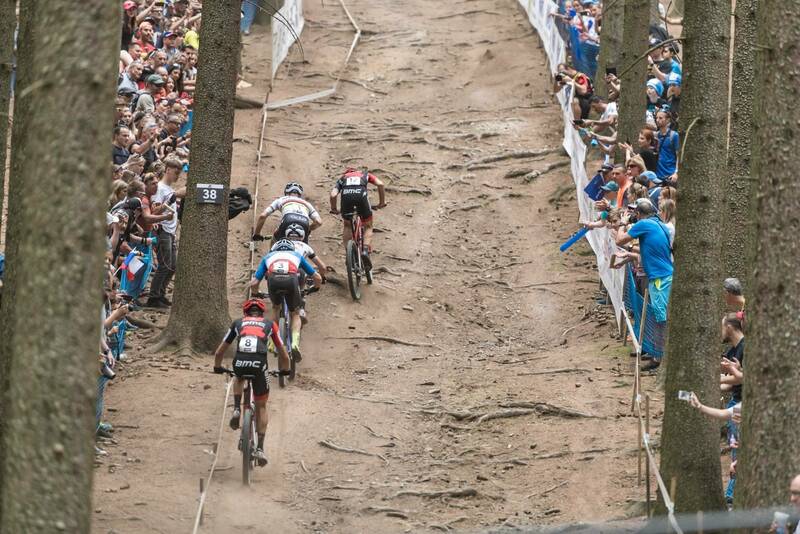 But there were so many peopple bringing the fight to Schurter, including Anton Cooper, Maxime Marotte and Lars Foster. 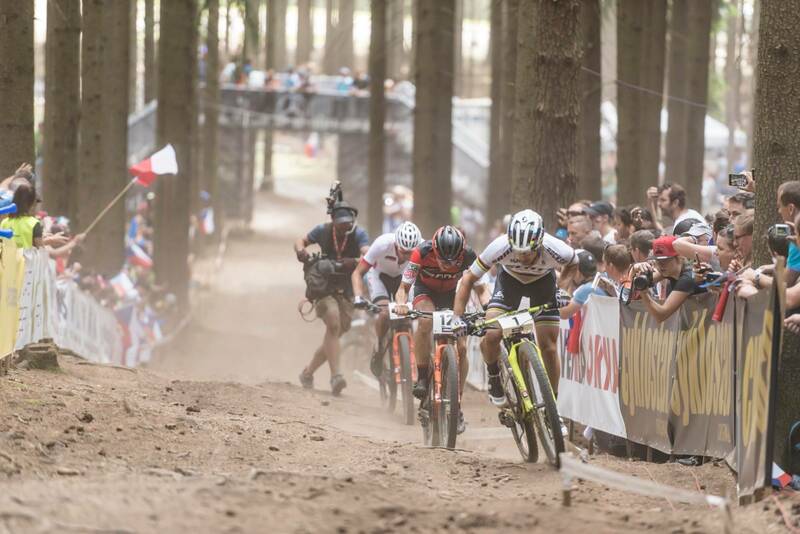 That left Schurter in a group of three with France’s Maxime Marrotte and Anton Cooper. 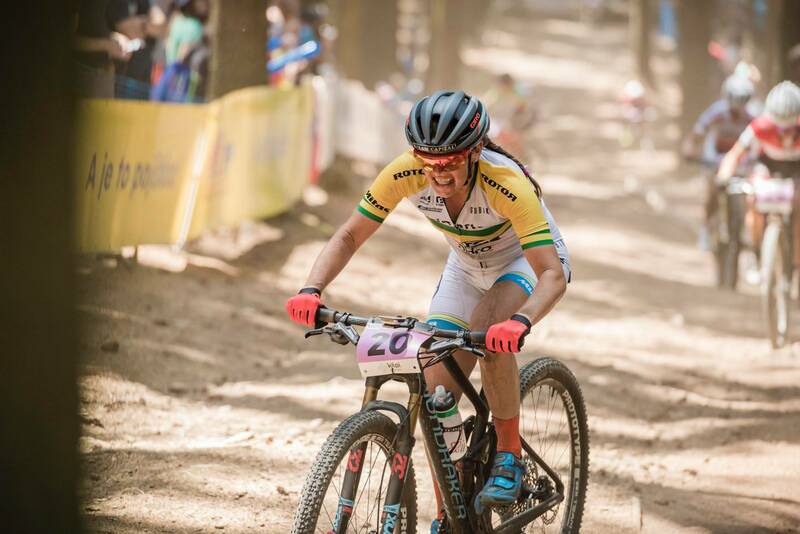 Cooper was stuck to Schurter's wheel and looked set to win a World Cup - if he could out muscle Schurter in a sprint. And that doesn't happen very often. 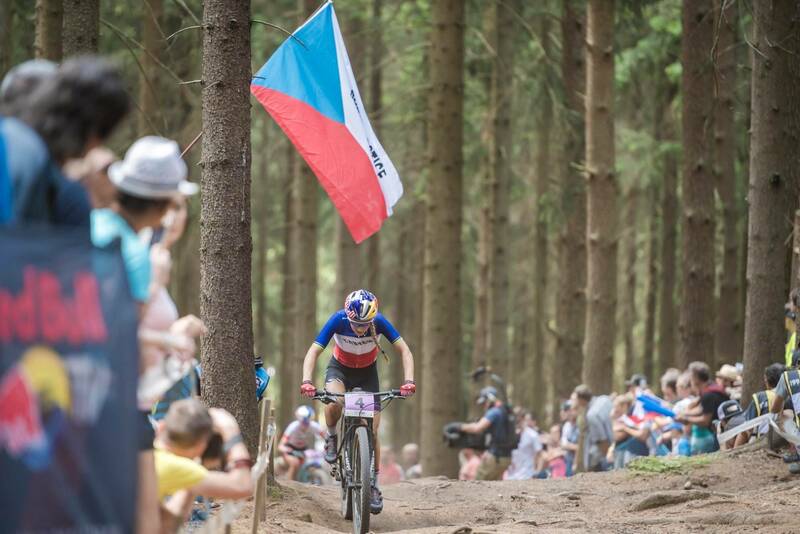 Marrotte dropped a few bike lengths on the second half of the last lap and left Schurter to gun for his sixth win at the Czech venue with Cooper. 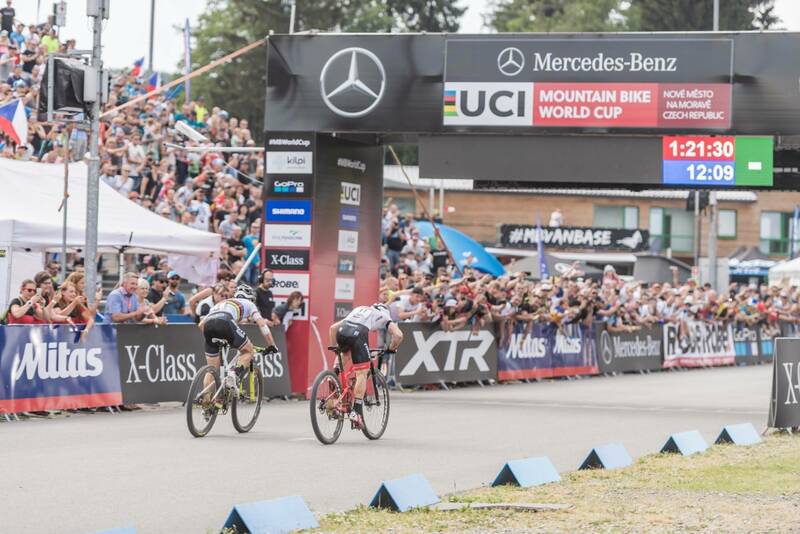 After a photo finish after one of the longest sprint finishes in UCI World Cup history, the pair were separated by the smallest of margins. 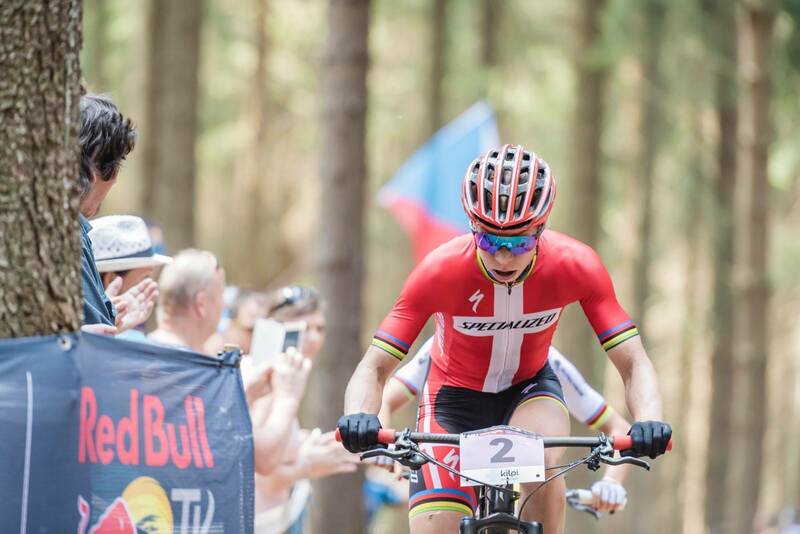 Schurter was left as the winner and after a tricky start to the season, regained the UCI World Cup overall leaders jersey. Dan McConnell finished 48th, while Bec McConnell was 26th and Sarah Riley finished 68th. Samara Sheppard finished 50th. Sebastian Jayne came down in the start line crash of the men's race, and while he was able to get going he wasn't able to finish the race.